The PS4 Pro supports HDR and 4K. The PlayStation Neo is the PlayStation 4 Pro, Sony revealed today at PlayStation's press conference, and the system is currently available for pre-order on Amazon. Sony's Andrew House said that the PS4 Pro will "stand alongside and complement the original PS4" with its 4K and HDR capabilities. The same game discs and downloads will run on the PS4 and PS4 Pro. The PS4 Pro has a boosted CPU clock rate, a 1 terabyte hard drive, and more than double the power of the PS4 GPU. “[We're] providing a number of mechanisms for easily transferring your game library and entitlements from the standard model to the new console,” PS4 Lead Systems Architect Mark Cerny said. Additionally, a new Netflix app with 600 hours of 4K content, including Marvel's Luke Cage, will be available at launch. YouTube is also developing an app for the PS4 Pro that supports 4K content. Every PS4 will be HDR-capable with a firmware update next week. 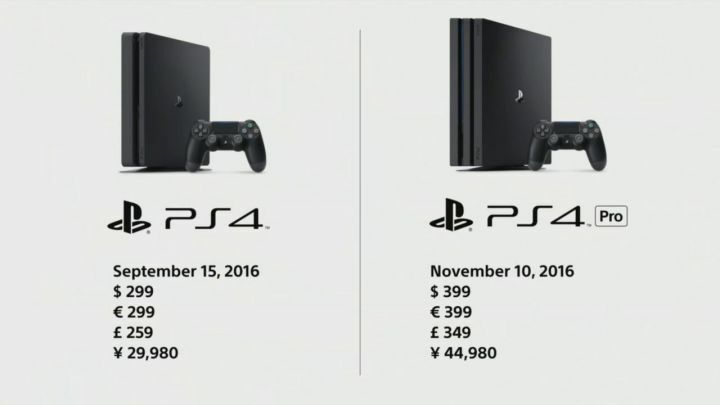 The PS4 Pro will be available on November 10 for USD$399 / £349 / AUD$560. very cool. What is probably the coolest thing about the ps4 pro is the price. only biggest complaint i can think of right now about either the ps4 slim or ps4 pro is that it doesn't supports 4k blu-ray disc playback.